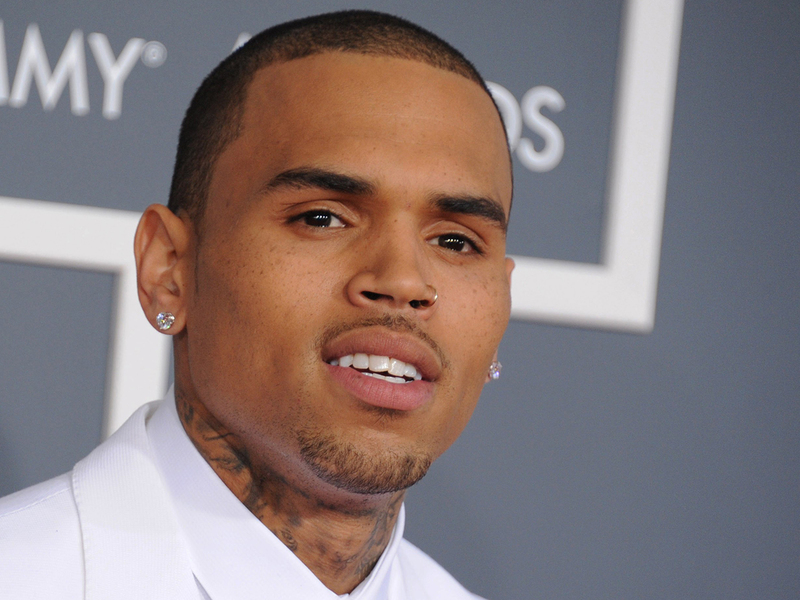 Chris Brown isn’t too happy with the GRAMMY’s this year. The R&B crooner took his frustrations to Twitter about the 2016 awards show recently to express his frustration. Throughout his career, Chris Brown has been nominated for a total of 15 GRAMMYs, but has only won one in 2012 for “Best R&B Album” with F.A.M.E. This entry was posted in Uncategorized and tagged Chris Brown, Grammys, new album, royalty, tweets on February 1, 2016 by aajent837. Chris Brown wants his baby girl lookin’ fly! The singer shared a cute picture of him and his pride and joy, Royalty, and she is rocking the coolest onesie. Seriously, she’s the perfect little model for baby collections! Chris Brown, 26, sure does love spoiling his daughter Royalty, 1, rotten. Can you blame him? She’s a little princess! Anyway, the singer shared an adorable snap of the two on Nov. 20, showing off his baby girl’s outfit of the day. This entry was posted in Uncategorized and tagged baby royalty, Chris Brown on November 20, 2015 by aajent837. Chris Brown Debuts His Daughter…Royalty! Thursday night, Brown posted the first photo of him and his daughter, confirming rumors that he is in fact a dad. “God has blessed me with my twin. #ROYALTY,” Brown wrote, accompanying a photo of him holding his 10-month-old daughter. This entry was posted in Uncategorized and tagged baby, Baby Roylaty, Chris Brown, chrisbrown on April 18, 2015 by aajent837. This entry was posted in Uncategorized and tagged Chris Brown, Trey Songz, TRGA BREZY on October 13, 2014 by aajent837. It’s been another tumultuous 12 months for Chris Brown, marred with jail time, court-ordered rehab and constant delays. But his comeback is finally complete as his new album, X, made it in stores today. Featuring the smash single, “Loyal,” plus collaborations with everyone from Kendrick Lamar and Nicki Minaj to Usher and R. Kelly, Breezy’s sixth LP already seems to be winning critics over. Listen to the album in full below and head to iTunes to purchase. This entry was posted in Uncategorized and tagged Chris Brown, X Album on September 17, 2014 by aajent837. Chris Brown and Trey Songz get fans ready for their upcoming joint tour later this year with two new remixes. The R&B stars have some fun, jumping on ILOVEMAKONNEN’s “Tuesday” and Snootie Wild’s “Made Me.” Expect more remixes from both artists, who also collaborated on the R. Kelly-inspired “Songs on 12 Play,” off Brown’s X album due September 16. This entry was posted in Uncategorized and tagged Chris Brown, Trey Songz on September 15, 2014 by aajent837. Chris Brown’s very public battles with his anger issues have undoubtedly changed his life and career forever. Though he has worked to deal with his own problems and made progress, Breezy recently told Sway that he still sees a therapist twice a week to help him cope with his own demons. Sway went on to ask Chris if he had any advice for Ray Rice, who was involved in a brutal domestic violence assault earlier this summer. This entry was posted in Uncategorized and tagged Chris Brown on September 12, 2014 by aajent837.